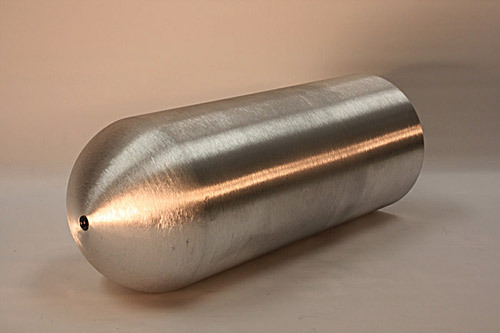 Helander Welding has the ability to fabricate seamless custom pressure vessel shells through a special hot spinning process. 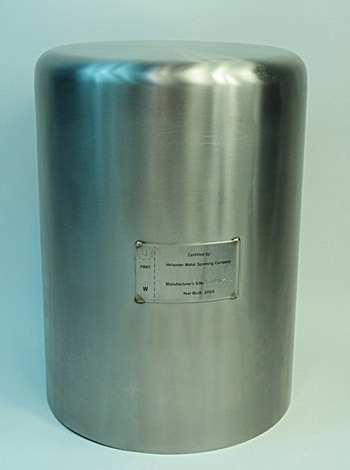 Helander can produce a completely seamless pressure vessel with or without a bottleneck to meet Customer specifications, in stainless steel, mild steel, aluminum and other metals. The maximum dimensional limitations for the tube end closing equipment are a 0.750" wall thickness (depending on material type), a diameter of 9.625" and a length of 70". If you are interested in welded vessels, Helander can accommodate you. Any head that falls under the specifications of the hydroforming or metal spinning capabilities can be formed and then welded to a tube that is either mill purchased or a custom tube made by Helanders welding department. 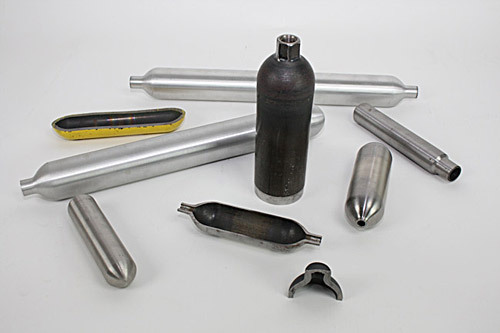 Common Applications: Hydraulic Accumulators, Pneumatic Reservoirs, and Gas Storage. 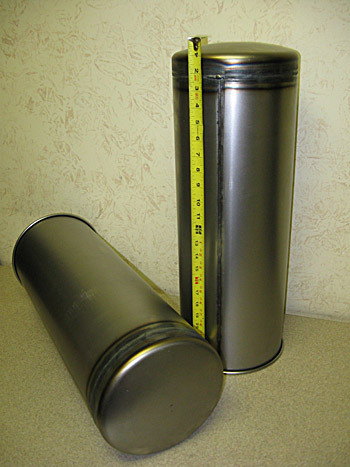 5.60 diameter x 12 to 32 long x 0.250 thickness x 6061-0 aluminum vessel. Variety of parts made on our Tube end closing, automatic spinning machine. 18 gage welded vessel made in both steel and stainless steel. Custom cylinder and cap made in house and GTAW (TIG) welded. 304 s/s 12 gage welded vessel made. Custom rolled cylinder and cap made in house and GTAW (TIG) welded. This part was a certified ASME code vessel per Sec. VIII Div. 1. Product Diameter Up to 36"